Home/Archive by Category "From the West"
Summer is here and as this is our last Trestleboard before September. I would like take my column to address two topics. First, I would like to present to the lodge and HTA members the two proposed By-Law changes (amendments) that the HTA board will be introducing at the June stated meeting and after discussion and input would like to bring before the HTA members at the “HTA Annual Meeting”, which takes place within the Mount Moriah September Stated meeting. b) At any scheduled meeting , if there is not a recognized quorum present, the sitting officer may select a member of the Henderson Temple Association (HTA) who is present to participate and cast a vote for the missing member. Shall be held on the Monday preceding the Mount Moriah Stated Meeting, or as designated by the HTA Board of which due and timely notice will be given. These are drafts and you will have the ability to give input at both the June and September stated meeting as well as all HTA board meetings preceding the Annual meeting. Lastly, I reflect on our first part of the year with pride and look forward to more fellowship when we return to lodge in September. I hope you all have a great summer. As we move toward the summer, May gives us a great opportunity to gather for fellowship, for degrees and a chance to catch up with each other. Often life is very hectic and we bounce from commitment to commitment please take this May to reunite with your brothers at Mt Moriah. If I can assist you with this by helping you get to lodge please let me know. As one last reminder, it is not too late to contribute to the Lodge scholarship fund, we are planning to award two scholarships to graduating Seniors from Basic but need your help to do so. Thank you in advance for your considerations. 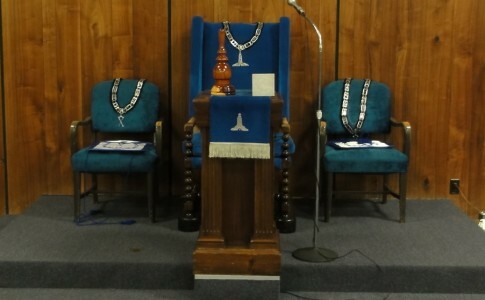 I take this month’s column to call attention to an upcoming Masonic Workshop that will be held on: April 30, 9:00 am at the Masonic Memorial Temple, 2200 W. Mesquite Ave, Las Vegas, NV. There will be a refreshments and lunch served for a reasonable price and it is expected to finish by 3:00 pm. This workshop, in combination with a Fall Workshop, is a replacement for the Nevada Masonic Leadership Conference which has been canceled for 2016. The April Workshop is expected to cover the Entered Apprentice degree in the AM, and the Fellowcraft degree in the afternoon. 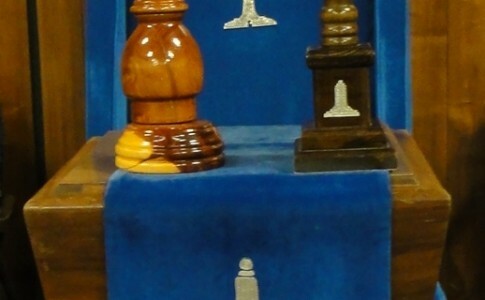 It also will cover some general information regarding conducting candidates, conducting practices, learning ritual, using floor work plates, and decorum during Masonic Degrees. RSVP is requested so that seating and food/beverages counts can be gathered. 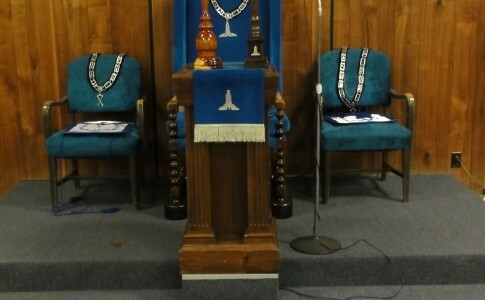 Since the Grand Lecturer is requesting each lodge send a single email to the Grand Lodge with anticipated attendees, Please let the Worshipful Master/Secretary know at/or before the Stated meeting. As a reminder from March’s Trestleboard, we thank you in advance for your support of the Scholarship fund. I take this month’s column to call attention to the Scholarship Program/Fund and to ask for your support in raising money for our scholarships. The Nevada Grand Lodge supports lodges throughout the state by providing additional money to aid the local lodges in providing scholarships to college bond high school seniors. The Grand Lodge fund is only a supplemental to the funds that we dedicate to the program. Mt Moriah has a proud tradition of supporting Basic High School. As May and the annual Senior Awards Night is quickly approaching, it is that time of year again to ask for your help. Please search your hearts and commit to providing a monetary donation to the program. 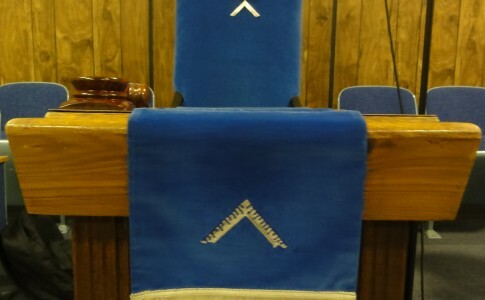 As always the Secretary of the Lodge is willing to accept funds dedicated to scholarship and in addition the Master of the Lodge and his scholarship committee of Rite Worshipful Ogle, Worshipful Hales and myself are not only willing to assist but we will travel or work with you in collecting the funds. our phone numbers are on the back of this Trestleboard. September went by in a flash. We had the honor of welcoming a new brother into Freemasonry and we will be able to do so again in October. As this year comes to its end officers should be ready for their next chair during degrees. Everyone has done such a great job thus far. Please contact me if anyone would like to work on degree work. During this month’s stated meeting we will be reading and discussing the Grand Lodge resolutions for the first time. Please make sure you can attend this meeting to help Mt. Moriah come to a well informed decision before voting in November. I look forward to sitting with you in lodge. Brothers, the summer months flew by and I am excited to sit with everyone in lodge again. I hope everyone found plenty of time for rest and refreshment. The second half of our year looks to be exciting and eventful with several men and brothers seeking to join Mt. Moriah. As always, I offer my help to any brother who wants to learn a new part for a degree as well as to any brother needing help learning a proficiency. Please never hesitate to give me a call. It has occurred to me recently how much is asked of the Master of the Lodge, from keeping a budget to ensuring a high caliber of degree work. From trying to keep Meetings relevant and interesting to greeting visiting Brothers and new friends. As I pondered these responsibilities, that I freely accepted, I was pleasantly greeted by the warm embrace of what to me completely represents the ” Beneficent influence of the Craft “. I have not felt overwhelmed, out of my depth or grasping beyond my means. No my Brothers, it has been an experience quite to the contrary. The support, friendship and sublime goodwill that have been extended to me from all of you not only bolsters my resolve, but, most certainly ingrains upon me the importance of our Tenets in today’s world. I am humbled by your acquaintance and blessed by your friendship. Brothers we have had a great year so far. Our Grand Lodge visit last month was another great opportunity to have fellowship with the officers that work hard to help improve Masonry in Nevada. Right Worshipful’s message really hit home. I encourage every brother to reach out to another member of our lodge that we haven’t seen in a while and invite them to lodge again. The education given in April by myself and Brother York on the state of the schools in our community was meant to start the wheels moving towards a more active role in lives of children. Finally, this month we have the privilege of conferring a Master Mason degree on a very worthy brother. If you would like a role in this degree please get with me soon so I can plan accordingly. All involved brothers will know their position by the end of the stated meeting.